Thunderstorms, magic, Halloween, and pretty witches are what you are about to live and breathe. This is the sequel to the immensely popular Halloween Fortune – a sequel with improved features, better magic, and a gameplay that can´t be forgotten. We are hereby presenting Halloween Fortune 2, a video slot brought to you by Playtech. This time, they made a sequel – and it is better than ever! Halloween might be one of the most loved holidays of the year – but what makes that even greater, is a game that you can enjoy all year around, still keeping its focus on this spooky festivity. With its clear colours, well-made animations, beautiful witches, and stunning graphics, Halloween Fortune 2 is a video slot that will lure you in, keep you there, and leave you in complete awe. It is time to find out more about it! The symbols of the game are all designed to portray the Halloween, spooky theme perfectly, with all that comes with it. Replacing the otherwise standard card deck symbols as lower valued ones, are the potions. The purple, the green, and the blue – and they are worth between 30 and 75 coins. The medium valued symbols are the main characters of the game – the green witch of envy, the blue witch of wisdom, and the red, passionate witch. The higher valued symbols are then the raven, the black cat standing in front of the full moon, and the candle with a skull – which is the top player of the game. It grants a win of 1000 coins for a symbol combination of 5x. Apart from this, you also have a few extra special symbols and they are represented by the Halloween Fortune 2 logo, which is the Scatter symbol, and the pumpkin Wild symbol. These can both grant some marvellous wins and features, which we will get more into soon! In the base game, the Wild symbol steps in to replace other symbols (all but the Scatter) to create winning combinations. The three witches have a very unique ability – this to turn up on the reels stacked. This time around, they cover up 2 spaces instead of one, like in the original game. 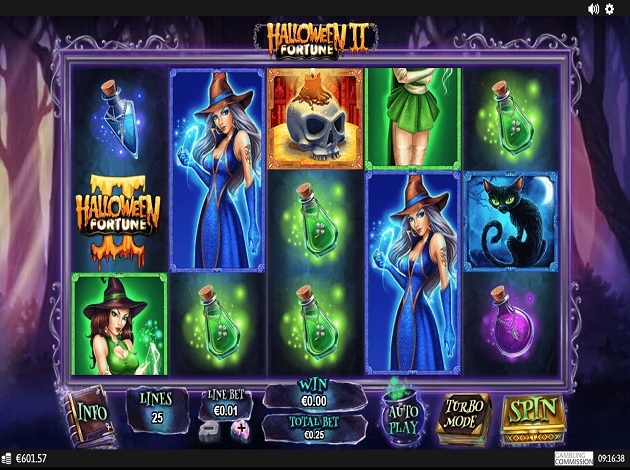 Halloween Fortune 2 is a video slot that portrays the fun and loving holiday in the best way possible. Spooky, yet very sophisticated and fun. The design and the graphics are incredibly well-made, with a backdrop of the enchanted woodland filled to the top with spider webs and magical creatures. It is the embodiment of Halloween and the meaning of it – and the overall layout of the game all reveals this very clearly. The control panel is all in magical books, potion pots, webs, and potions. The game is very colourful and vibrant, making it incredibly easy on the eyes. This is a high volatility video slot, meaning that when you win, you win big and good. 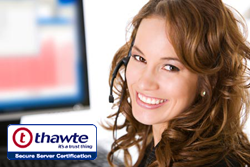 With its 25 paylines, played on 5 reels and 3 rows, the game suits all kinds of betting ranges and players. Halloween Fortune 2 offers a great deal of high wins and features, but the classic bonus game is not part of it. But if you enjoy the Halloween theme with an additional bonus, then you should check out Lucky Halloween from Red Tiger Gaming. It offers a uniquely designed theme of this festive holiday as well as a Full Moon bonus with cash prizes at stake. The free spins feature of Halloween Fortune 2 is enough to please just about anyone. When landing on three of the Scatter symbols, 10 free spins are triggered. Within this feature, there are both increasing multipliers and locked Wilds. The free spins feature starts off with a 2x multipliers, and increases at every second spin, the multiplier increases with +1 at every second spin. The locked Wild will in the free spins feature appear on the middle reel, in the middle of it. This will then be locked in place there, staying for all spins. A fun Halloween themed slot is always a popular theme among players – Playtech has surely created a flawless video slot that can be enjoyed all year around. Being a sequel, it is even better, more rewarding, and more fun! We wish you the best of luck in this, sweet yet spooky addition!